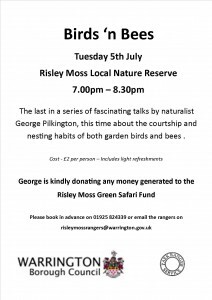 This is the third in a series of talks by naturalist George Pilkington. The Open Day is a great day out with the opportunity to see a wide range of exhibits and have the opportunity to go on guided walks into areas of the site not usually open to the public. Although some birds are still singing (especially those that have multiple broods) most are now much quieter as they concentrate on feeding their young and recuperating. They are more difficult to see amongst the tree foliage despite there being more birds on site at this time of year than any other! Even those you can see can sometimes confuse. If you see this little bird that acts like a Robin, it is probably a Robin but a young one (the orange / red breast comes later). 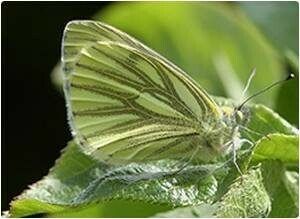 As you go around the site, you may also see some white butterflies. These are generally not the Large or Small White, whose caterpillars eat our cabbages and nasturtiums, but are Green-veined White, which do not feed on garden plants. 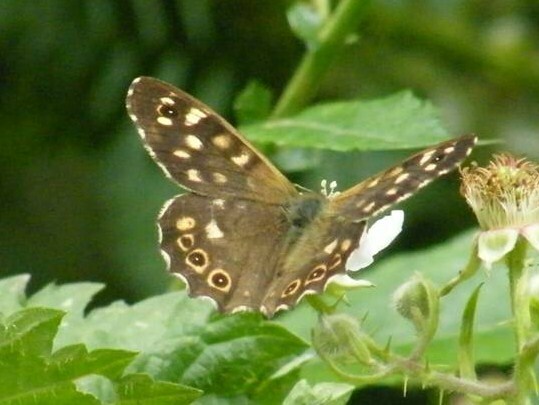 If you see a brown butterfly, it is most likely to be a Speckled Wood. These are amongst the easiest species to photograph because they readily perch low down and return to the same spot. The Large Red Damselflies that emerged in May are joined by some blue damselflies in June. 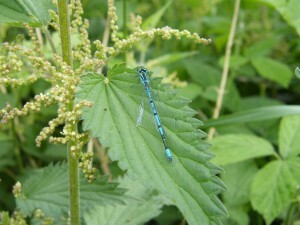 There are six ‘blue’ species in the UK which are very difficult to separate. 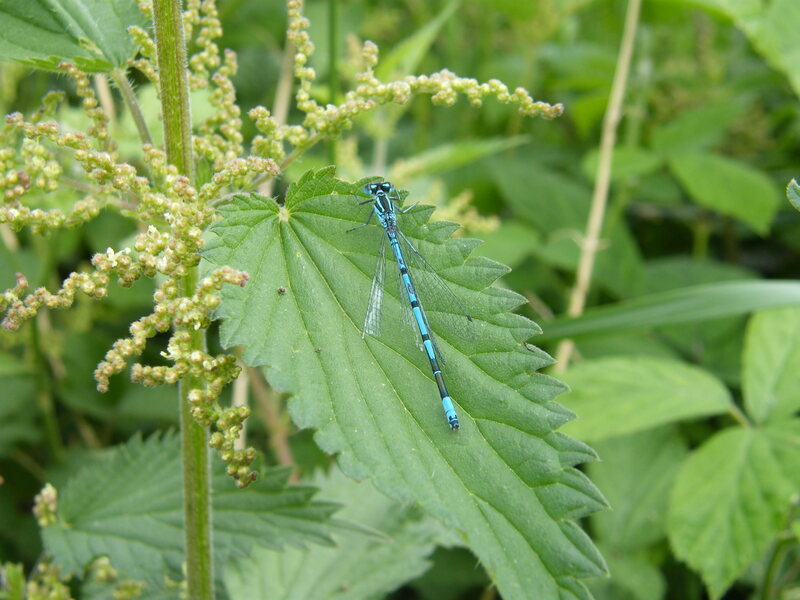 Fortunately, only one species, the Azure Damselfly is common at Risley Moss so that is the one you are likely to see. 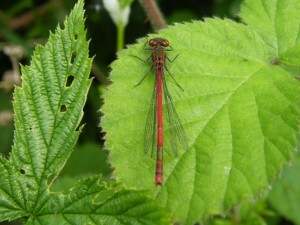 It breeds prolifically in the pond near the Visitor Centre and can often be seen perched on surrounding vegetation. Four-spot Chaser dragonflies are now appearing in numbers and can be seen anywhere around the site so look out for them. 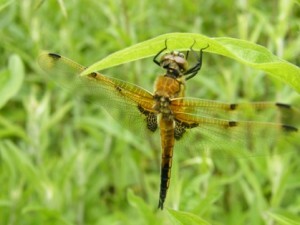 However, the main dragonfly emergence is not until July and August when up to 12 species can be seen. 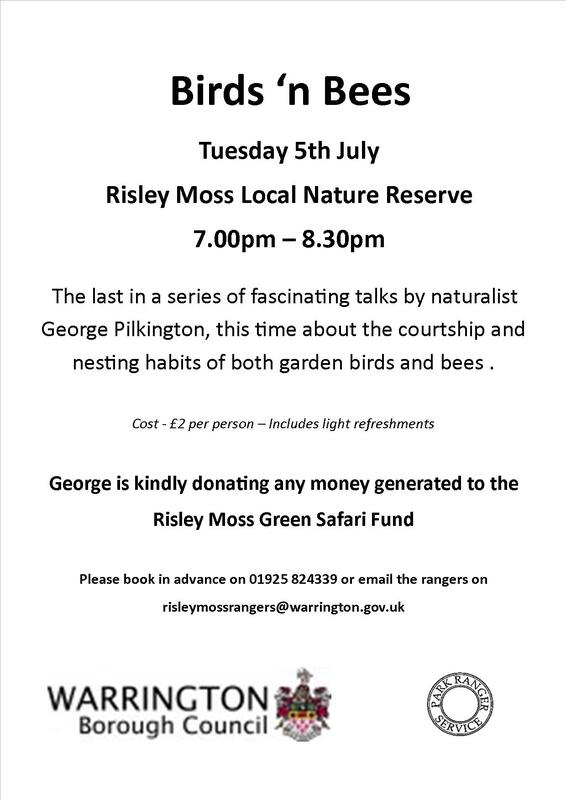 Come and join us at Risley Moss: there will be lots going on in the woods. You’ll find displays and demonstrations, games to play, things to buy and stalls with loads of interesting things to see and do. There will be guided walks out on the moss, one of the rare events when we can take you out to see what lives and crawls about there. Come and join in the fun and see what the countryside on your doorstop has to offer, watch as carvings evolve from stone or see how the willow can be woven into beautiful and useful objects. 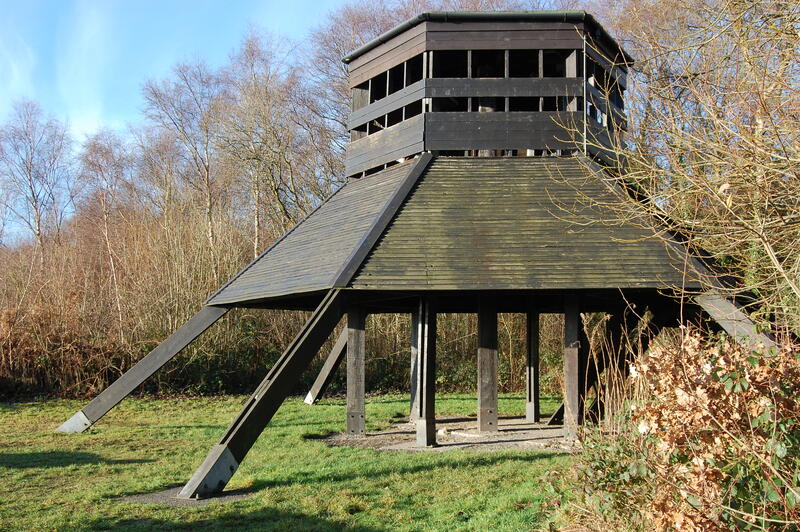 Watch a falconry display, or get down with the creepy crawlies. RIMAG (Risley Moss Action Group) is a registered charity (No. 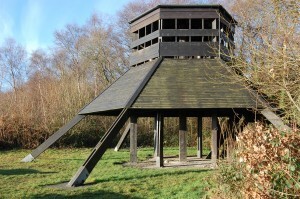 1041935) that provides community based support for Risley Moss nature reserve in Warrington.